Economic stability, business opportunities and real-estate investment in Canada, respect for human rights, democracy and the quality of life make of Canada the # 1 country to live in. Certainly there are countries that offer higher economic returns but it is Canada that won the prize for the best place to live in. A real-estate investment in Quebec is a sure value but it is necessary to be well informed on many aspects, such as legal matters, employment law and real-estate and construction. In Quebec, since 1960, as a general rule, the value of properties continues to double nearly every 10 to 12 years. A house that sold for $ 10,000 in 1960, rose to $ 20,000 in 1970, $ 40,000 in 1980, $ 80,000 in 1990, $ 160,000 in 2000 and $ 320,000 in 2013. Of course there are times during which real-estate investment and construction slow down but in the long term investors have so far always been winners. The advantage of Quebec, Canada is that it is not necessary to be very rich to start in construction and make a first real-estate investment. Montreal which is the largest metropolitan city in Quebec, Canada, is full of investment opportunities. The outskirts of Montreal offer plots of land 5 to10 times cheaper than in Vancouver or Toronto. This is probably one of the reasons explaining why Montreal has set, since 2011, a record in construction and real-estate investment in Canada. Business people come from outside of Quebec and Canada to buy not one but complete condo buildings. By using certain techniques of negotiation and financing, with limited capital, it is possible to buy a first home of $ 150,000 to $ 200,000 with as little as $ 40,000 down-payment, do some renovations in 1 to 3 months time and resell with a $ 20,000 profit. If you take a $ 20,000 profit in six months on an initial investment of $ 40,000, this represents over 12 months $ 40,000, so a 100% ROI for a real-estate investment in Canada. It is simply a matter of taking the time to look for a bargain, put yourself to work, have the knowledge and licenses necessary for renovation and construction and an economic marketing expertise. Many young workers under 30 inQuebec own much income property that pays for itself and is gaining in value and thus creating an ever more important real-estate investment portfolio. How to find an opportunity for a real-estate investment in Canada? Real-estate agents take too high a commission and do not act impartially as they are more interested in their commissions than in the profitability and feasibility of the project that is your real-estate investment in Canada. So, there is very little chance of making a good real-estate investment, in the short term, using the network of real-estate brokers in Canada. The ideal is to have one’s own team to contact directly the owners of land and buildings even before the properties are sold. get the means and information with which it will be possible to become a general contractor in construction and build the project yourself in order to increase the profits of a real-estate investment in Canada. Feasibility and profitability of the project through sketches and budget estimates of the project, marketing research and market demand. When all these initial points have been considered beforehand then it is possible to think about negotiating for a real-estate investment or land. 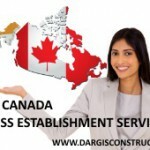 That is why Construction Daniel Dargis Inc. is the impartial expert in construction and real-estate projects that you need to make a good analysis of the project, pre-purchase, before a real-estate investment in Canada. Construction Daniel Dargis Inc. therefore firstly helps you to find land to buy, analyze the feasibility of the pre-purchase project and then we carry on further by producing the comprehensive plans with architects and engineers, the application for permits, the turnkey construction or we can help you build your own business by creating a licensed Canadian construction company especially for you. The evaluation of all these factors leading to a clear and thoughtful decision about a real-estate investment in Quebec, Canada can only be supported by an expert and impartial advisor who knows Quebec, Canada, the real-estate and construction sector well.